Liverpool are set to play their second premier league game on Saturday, 19th August 2017 at Anfield against Crystal Palace. The game will kickoff at traditional saturday 3pm and there won’t be any live coverage in the UK. However international viewers can watch the match live on respective channels for example, NBCSN in the UK, beIN Sports in middle-east. Both sides have already meet earlier in pre-season when Liverpool rain out comfortable winners in Premier League Asia trophy. Liverpool vs Crystal Palace Preview: Liverpool are coming into this game on the back of impressive 2-1 win over TSG Hoffenheim in the Champions League playoff which put them in a good position going into the second leg. However midweek game will force Jurgen Klopp to make several changes in the starting lineup against Palace specially since they are playing again in midweek. 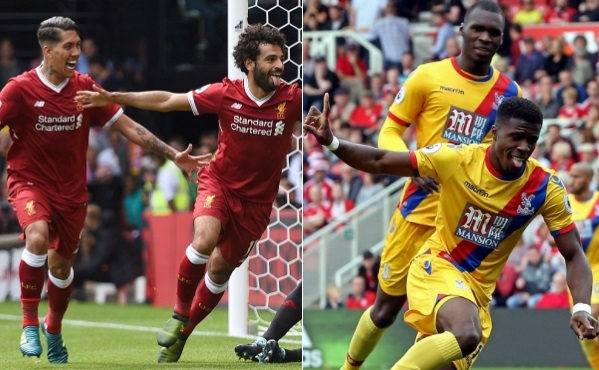 Last time these two meet was back in October 2016 when they played out a exciting 4-2 draw at Selhurst Park where Joel Matip and Firmino late goals ensured Liverpool a 4-2 win. 16′ 0 – 1 Emre Can opened the scoring for Liveprool in just 16th minute of the game. 18′ 1 – 1 James McArthur equalized minutes later after defensive mistake by Liverpool. 21′ 1 – 2 Dejan Lovren made amens for this earlier hauler to put Liverpool back in 2-1 lead. 33′ 2 – 2 James McArthur was it again with a stunning header to put Palace back on level terms. 44′ 2 – 3 Joel Matip restore Liverpool’s lead for the third time in first half just before the break. Crystal Palace are sweating over the fitness of Connor Wickham who is not hundred percent fight and might not start against Liverpool and Chamakh is also ruled out for Liverpool trip. But there is some positive news with Papa Souare fit to start in defense alongside Dunne, Delaney and Ward. Liveprool on the other will be without Danial Sturridge but Coutinho, Lallana, Skrtal and Lucas will return after being rested for the Europa League game during the midweek. Firmino and Benteke are expected to start in attacking roles alongside Coutinho. This is how I expect both teams to lineup on sunday.